It has been a busy month. So Erik and I haven’t had too much time for dates out. A couple weeks ago, we were heading out for our date. The kids all had a fun movie night over at a great friend’s house. Robin was so tired and needed time with us and didn’t go along with the other four kids. So we ended up just staying in, putting her to bed early, and watching a movie together at home. It was fun, but sometimes it is nice to just get out alone and have time to think and be together. We tried a new restaurant. Some favorite ingredients in the food we had were mushrooms, goat cheese, blackberries, sauteed onions, and balsamic vinaigrette. 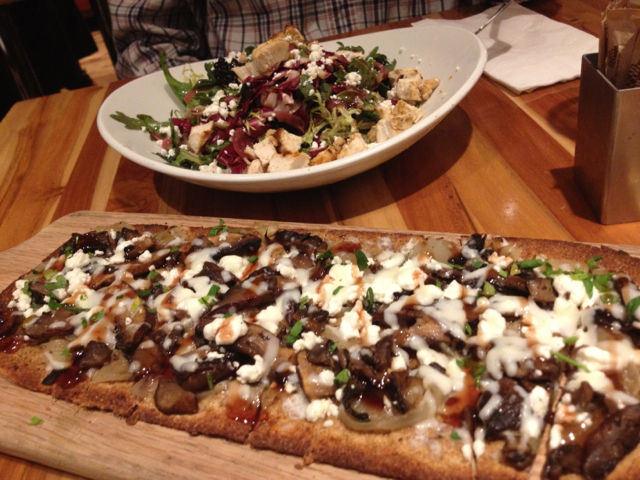 My date…we shared the salad and flatbread. It was good to be together. 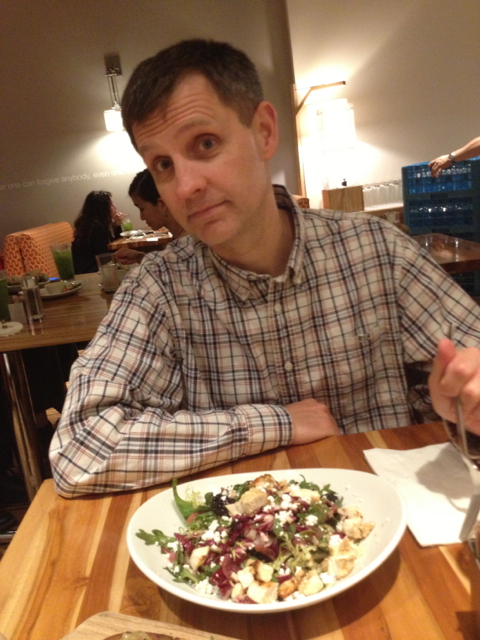 This entry was posted in Happiness, Unity and tagged date, Erik by julia. Bookmark the permalink.